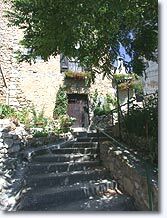 On route D23 which links St. Maximin (36km.) 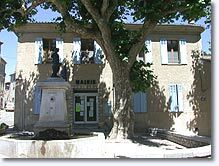 to Manosque (23km.). So peaceful.....here it is so peaceful, far away from the noisy crowds. 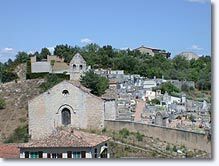 In Ginasservis there is the right atmosphere to appreciate the glorious nature that encircles the village. Any one of the many forest trails here makes for a pleasant walk. 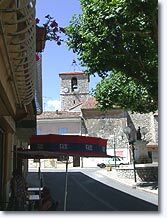 Due to the proximity of Verdon, even the most avid sportsman will be gratified by the choices available, Gliding is possible right at the gates of the village. 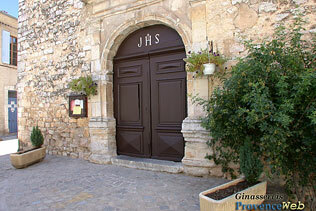 St. Laurent church (1626). Castle ruins. Classified chapel ot the "Penitents noirs" south of the village. 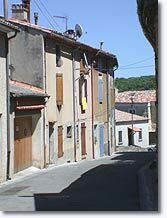 which links St. Julien to Vinon sur Verdon. 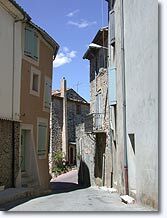 Vinon sur Verdon (8 km), Rians (13 km), La Verdière (18 km) and St Julien (18 km).